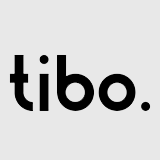 TIBO is a leading German manufacturer of superior deep hole drilling machines, gun drilling machines, STS/BTA drilling machines and ejector drilling machines. TECO is proud to distribute TIBO products in Australia and New Zealand. Contact TECO now for more information about TIBO products in Australia and New Zealand.